Before embarking on a fundraising effort, those doing the asking need to first consider their own views and perspectives on money. Their security needs to rest completely in God. If they have ungodly notions about money, their efforts to raise funds for ministry purposes will be limited. When approaching wealthy people for donations, there is first the opportunity to minister to them and their needs. Financially well-off folks struggle, too, and need love. In this way, fund-raising is really about creating long-term relationships with donors and potential donors, inviting people into spiritual communion. It is about building community. In this, prayer is the starting point of soliciting contributions for ministry. 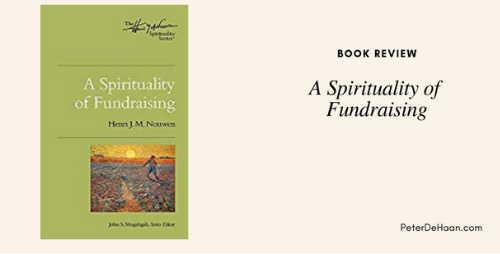 As such, this book is a must-read for those engaged in Christian fundraising.